At the height of fashion, you can choose from a relaxing medley of soft pastel stripes or a punchy alternative which encompasses a mix of strong colours for a nautical look which is currently the most sought after style at the moment. 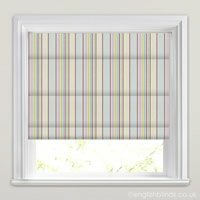 At English Blinds we have a wide collection of striped roman blinds, which come in a large choice of colours, shades and styles to ensure you are able to create the look you want. 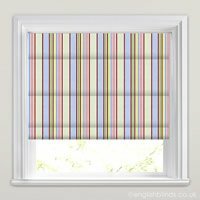 Whether it’s the bedroom, bathroom or kitchen our sumptuous and very elegant striped roman blinds are guaranteed to add the wow factor to any room’s décor. With a choice of both horizontal and vertical striped designer fabrics there is something for both a traditional as well as more contemporary styled home. 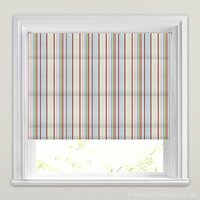 With the option of a blackout lining, our stripy fabric blinds are not just beautiful to look at they are extremely practical too. Very helpful staff, and prompt delivery in time for the blind to be installed by our fitter. Very happy as well with the quality of the blind. Very efficient and quick, would use again and would recommend to friends.